A dragster. The South Pole. Kids riding the short bus. A jet plane. An electric drill. A slug. Jupiter. The number seven. Pac Man. A cactus. A pink heart, yellow moon, orange star, and green clover. A frog. A can of coke. A sperm whale. The letter I. Phases of the Moon. A Big Mac. A ghost. A bone. A dog. The definition of entropy. A glass of Coke. A Space Invader. A razor blade. A sand castle. Firewood. Steps. A sailboat. A giraffe. A real caste. The Rockies. A baleen whale. A steam train. A stick of Wrigley Doublemint Gum. Battling Tops. A maple leaf. A big dog. Cow manure. A monster truck. A giraffe. Grapes. A cell with mitochondria. The sun. A laugh of derision. Omega. A Tesseract. A cow. Stop signs stacked in an octoganal prism. A polar bear possibly yawning. …and, my overall impression of the room I was in that prompted me to draw this. 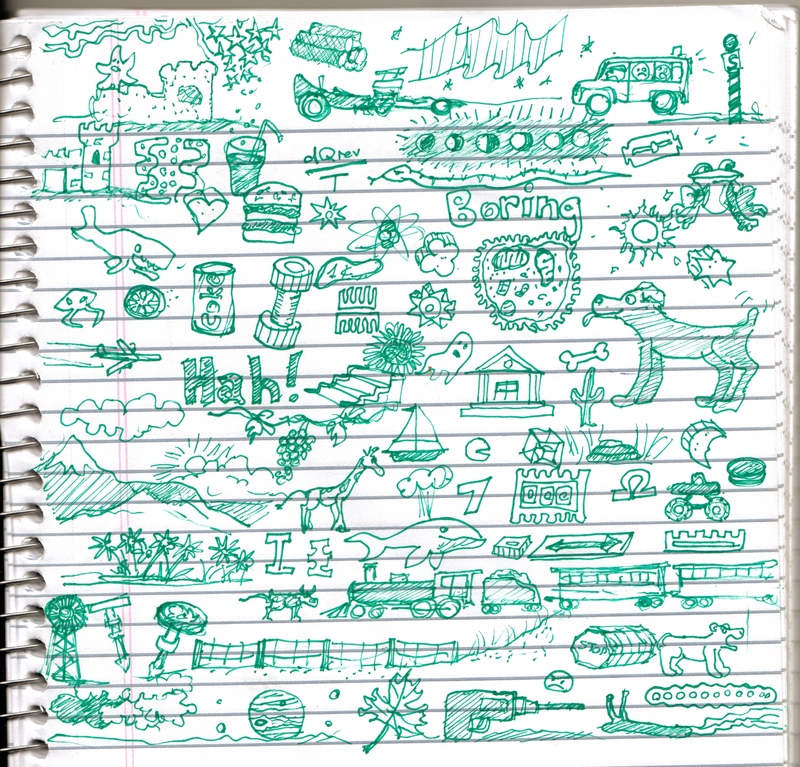 Tags: cartoos, doodle, original artwork. 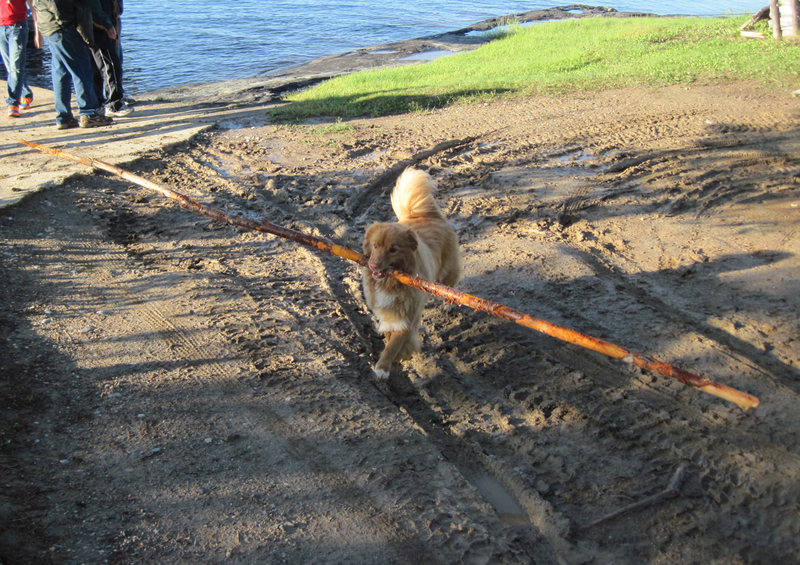 The first critter to greet me when I got off the plane was the resident Duck-Toller, who invited me to play with her…um…tree. If you know anything about Duck-Tollers, this is considered perfectly normal bhaviour. While on the water, I saw a lot of loons. Beautiful birds, but not that uncommon. 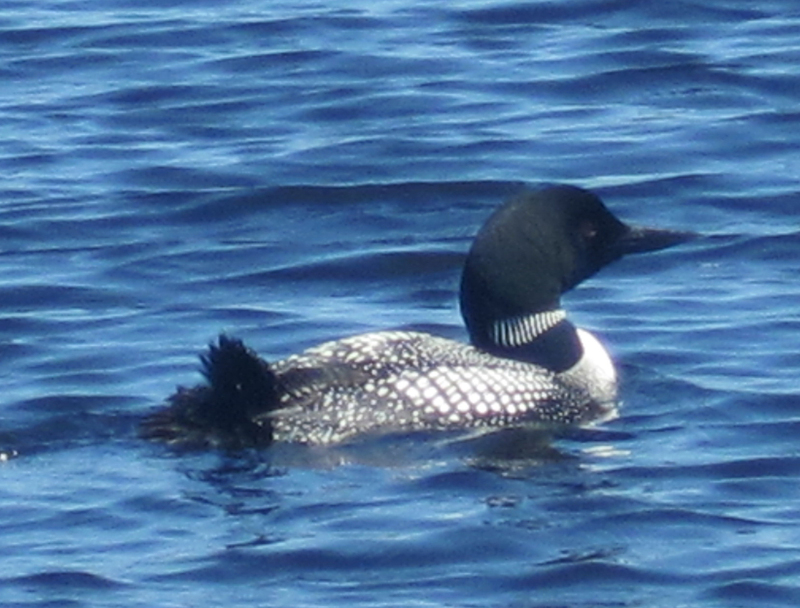 Every Lake in Ontario has to have its resident loon. It’s a Provincial By-Law. 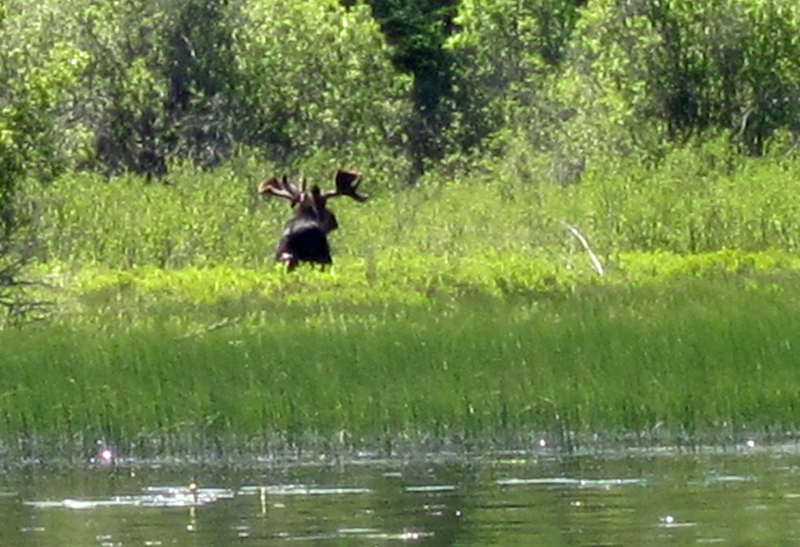 In campgrounds and parks, the moose are used to people and you can get really close. But here, in the real bush, they’re skittish and you’re lucky to come within a few hundred meters of them. The photo doesn’t do this justice, but this among the biggest moose I had ever seen. I estimate his antler rack spanned~ 6 feet. It’s not often you get this close to one in Ontario. I tried to throw him a fish, but he didn’t take it. 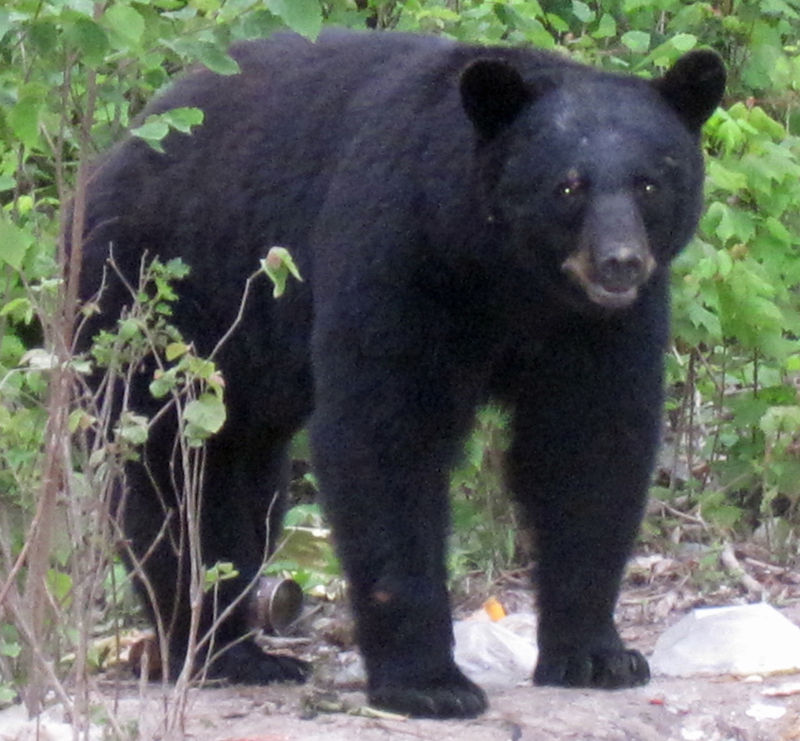 This Bear-Critter made a regular appearance at the dump every night at ~ 8:00 PM, when they threw the garbage out. 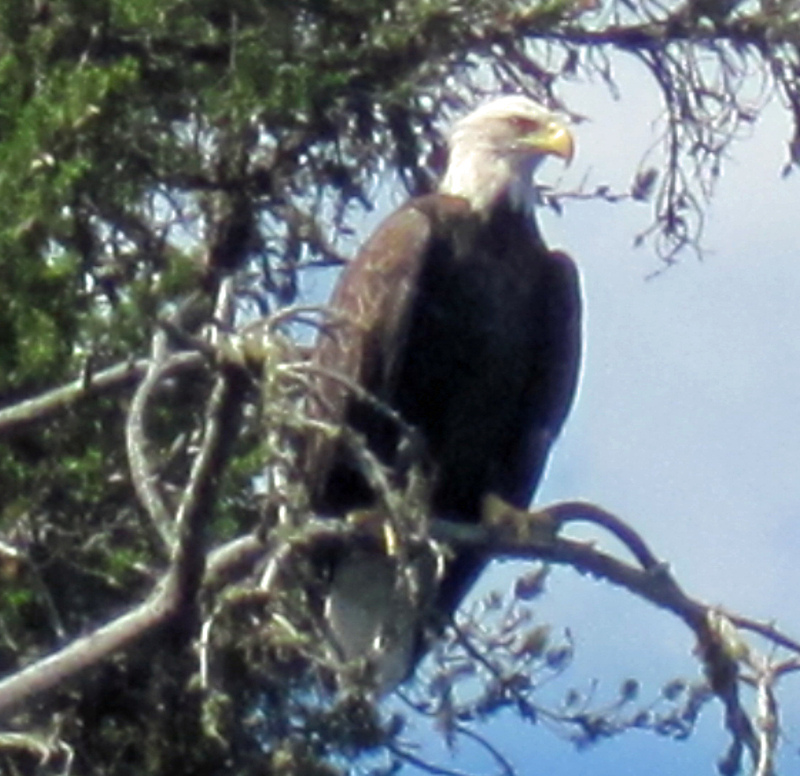 He reluctantly tolerated our presence, as long as we kept our distance. And seeing how he considerably outweighed me, I did. 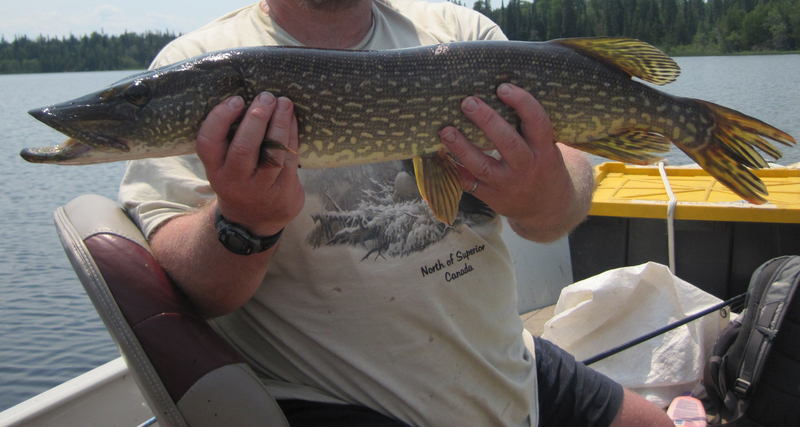 Let’s not forget the fish-critters, like this small Northern Pike. 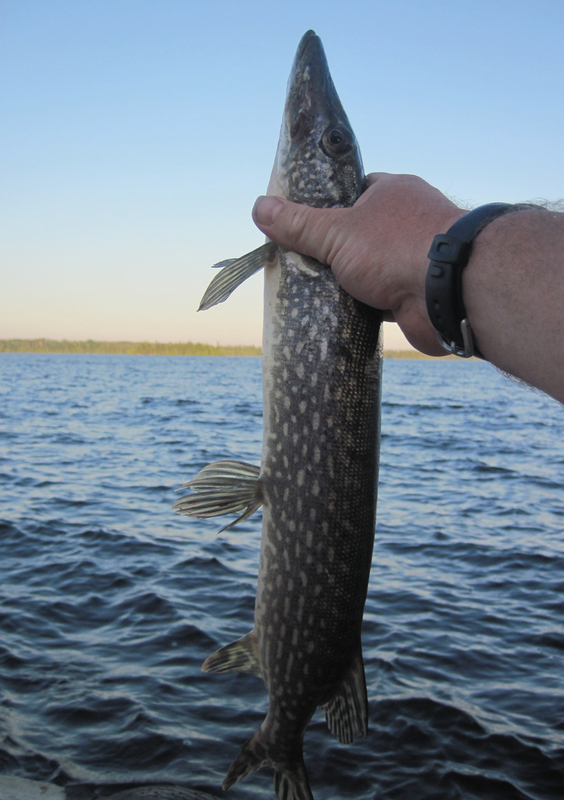 Normally, I wouldn’t be excited about a pike this small, except that I had caught him right off the dock, after supper. 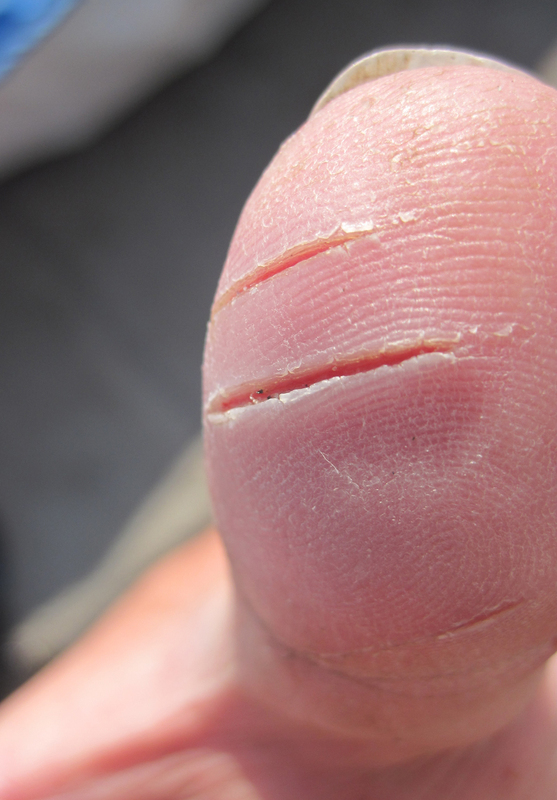 It gives you an indication of how good the fishing is on this lake, if you can catch them like this without really trying. 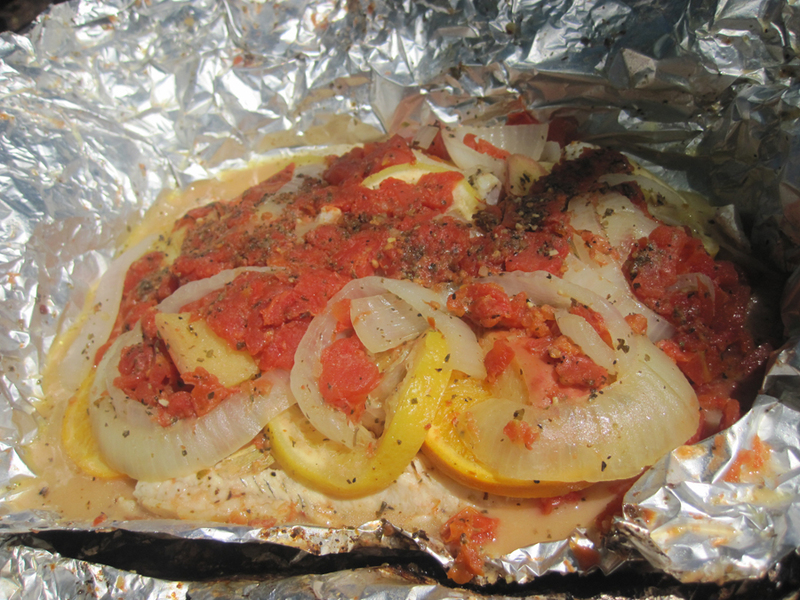 Here’s a more decent pike-critter. Not a trophy, but still respectable, by any books. 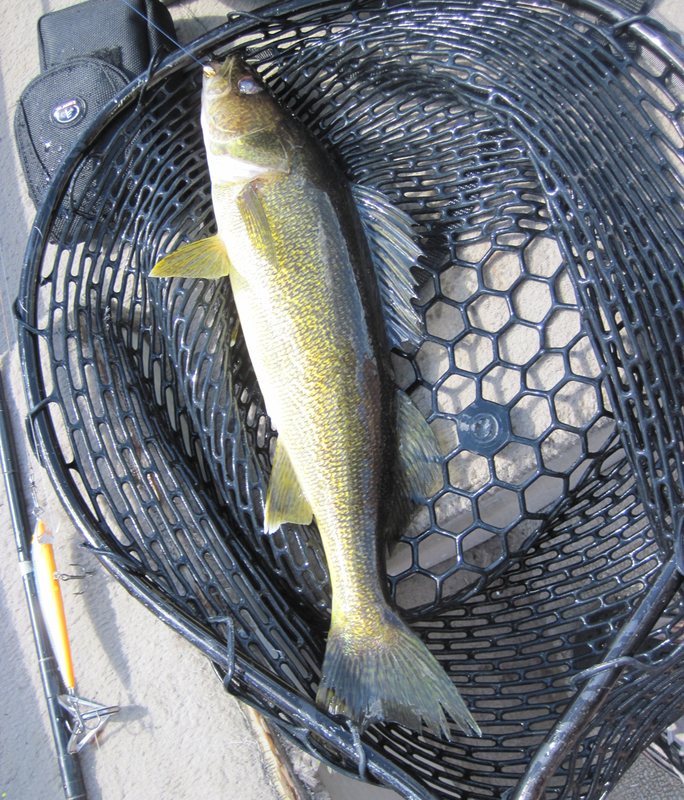 It was 30 inches…and I’m guessing ~ 7-10 lbs. 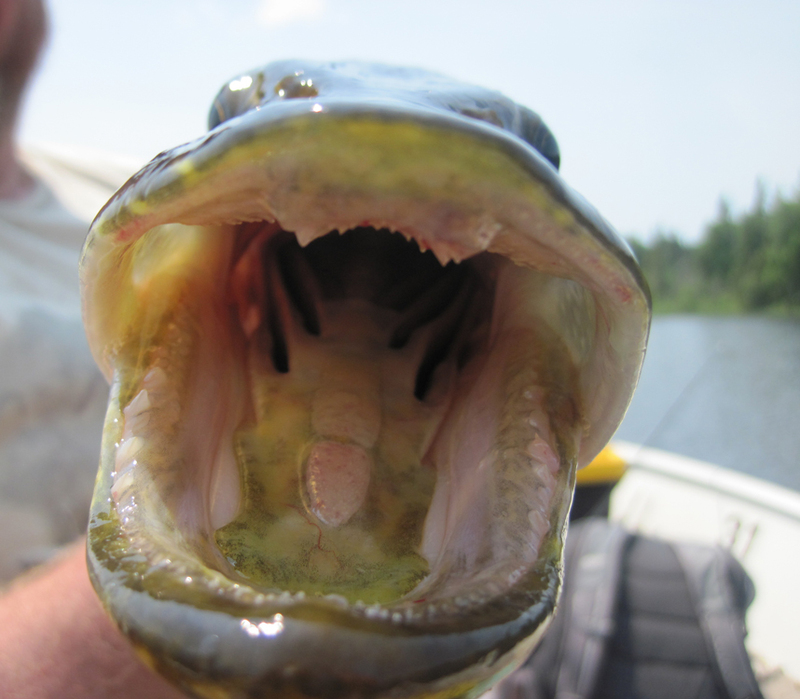 Here’s a close-up of its toothy maw. 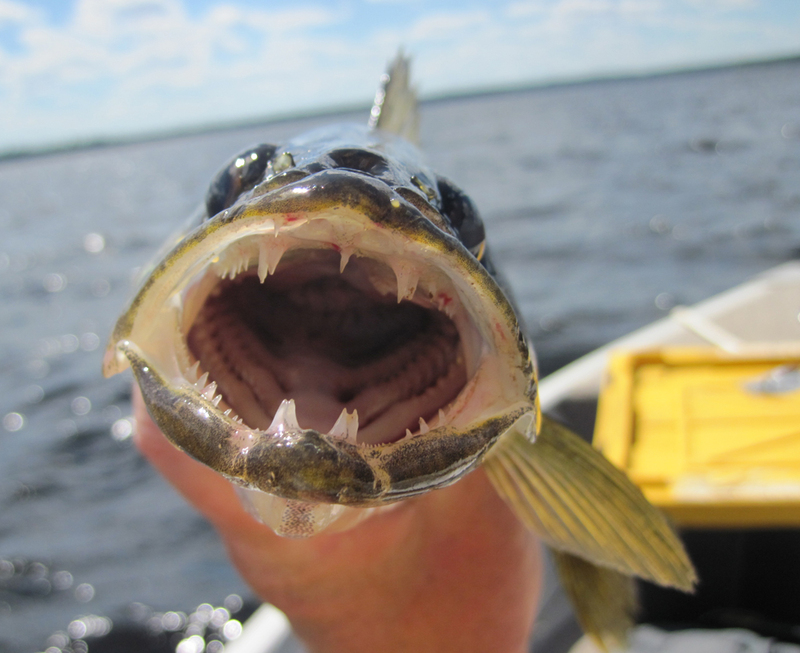 If I were to title this photograph, I’d call it “The Last Thing a Minnow Ever Sees”. …but when viewed head-on, GAWD, they’re UGLY! Also of note, is that these toothy critters have razor-sharp gills which can slice you like a knife, if you pick them up the wrong way. Of course, I had the last laugh, though. You are currently browsing the The Deep Friar weblog archives for August 2011.